Watershed Landcare is very pleased to announce that we have confirmed our keynote speaker for our 9th annual Green Day event. 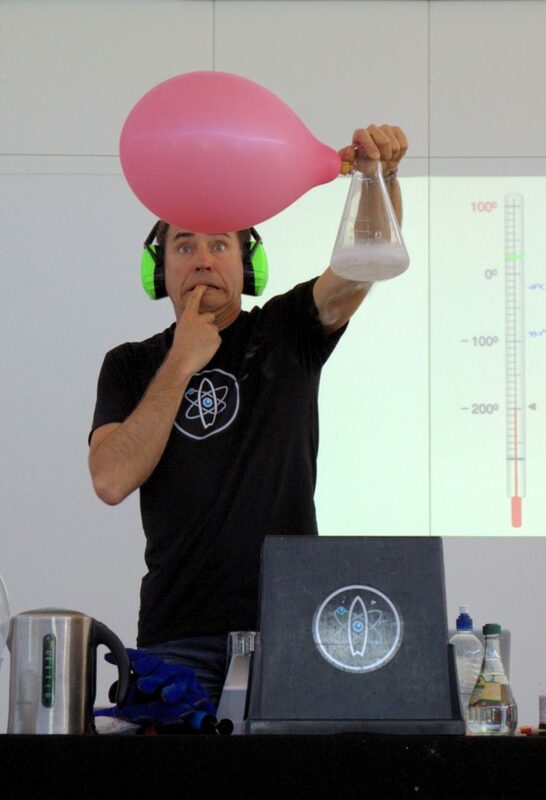 We have been fortunate to secure the services of Ruben Meerman, a.k.a the Surfing Scientist! Ruben is a passionate science educator, who travels extensively throughout Australia running exciting and engaging science sessions for primary and high school students. He has featured on popular television shows including Catalyst, Sleek Geeks, Studio 3, Sunrise, Roller Coaster, and was the first ever resident scientist on Playschool. He recently authored Big Fat Myths, which explores common myths around weight loss and dieting. Ruben will run three, one hour sessions focusing on our key themes of water, waste, biodiversity and energy, and focus particularly on the science behind the problems and solutions for key environmental challenges, including plastic pollution. The theme of this year’s event is GoMAD, an acronym for Go Make A Difference. In addition to our keynote speaker, we will have 20 workshop sessions being delivered by a number of local businesses and organisations. Green Day would not be possible without the support of Mid-Western Regional Council, Office of Environment and Heritage, Central Tablelands Local Land Services, Peabody Energy, Red Hill Environmental Education Centre and Niche Environment and Heritage. These important sponsors and supporters mean that Watershed is able to plan and execute Green Day with no costs to schools and students. All aspects of the day including transport and lunch are provided. We need you? We still need a couple more volunteers for the day. Roles might include assisting with the Sculptures in the Garden Waste to Art activity, tracking the time of different sessions or setting up or packing down before or after the event. If you’re available to help on Thursday 7 September, or would like any additional information, please contact Vivien Howard on 0427 446 245 or email info@watershedlandcare.com.au. This event is supported by Watershed Landcare and is a part of the NSW Government’s Local Landcare Coordinators Initiative, supported through the partnership of Local Land Services and Landcare NSW. After a successful tour last year, Watershed Landcare’s Grazing Group will be heading off on another bus trip to explore various production systems in our region and beyond. The tour will visit Rob Lennon at Gundooee to see the impacts of the fire earlier in the year and the management strategies put in place for livestock and vegetation recovery. Next on the agenda is Bob Freebairn’s property where the group will be looking at winter fodder crops, a newly established winter legume in a new tropical grass pasture, and incorporating serradella and sub clover into native and tropical grass pastures. Discussion will cover gross margins for the enterprise, grazing management, species selection, working out the balance between natives, tropical grass and winter fodder crops. Acid soils, soil fertility and sound soil management will also be discussed. The group will also be taking a tour through the 23,500 head capacity, 1,390 hectare JBS Caroona feedlot. The feedlot is situated 35 kilometres west of Quirindi, in the centre of the major cattle and crop-producing area of the fertile Liverpool Plains in New South Wales. This is a great chance for people to see other properties, share stories with like-minded growers and gain inspiration or reinvigoration to bring things back to their place. The Grazing Group would like to invite anyone interested to attend. The Grazing Group but trip will be held on Tuesday 29 and Wednesday 30 August, with overnight location to be confirmed. Travel and speaker costs will be covered through Watershed Landcare’s Pimp My Paddock project, through funding from the Central Tablelands Local Land Services. Participants will be required to pay for accommodation and own meals. 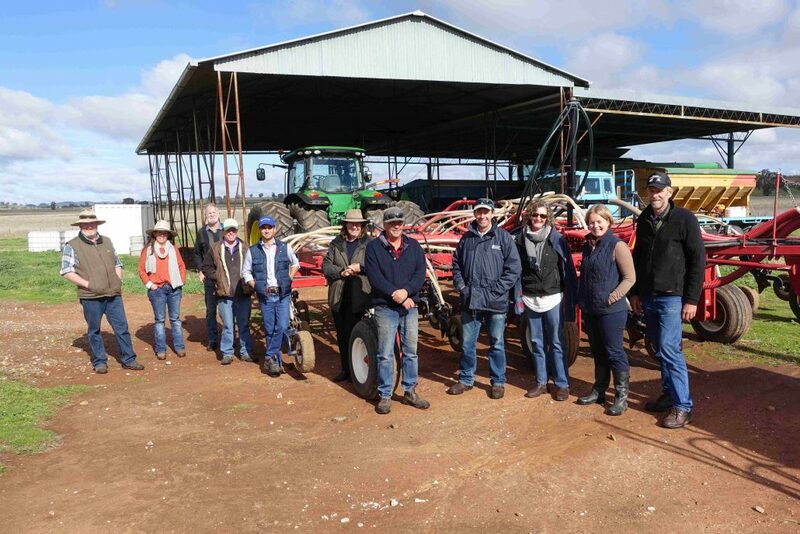 The Grazing Group invite you on a tour to explore various production systems. For further information or to register your interest contact Claudia Wythes, Watershed Landcare Coordinator, on 0412 011 064 or claudiawythes@watershedlandcare.com.au by Thursday 24 August. Watershed Landcare’s Women in Agriculture group will be hosting a workshop on mental health on Wednesday 30 August and would like to invite any interested members of the community to attend. The workshop will be held in the Straw Bale Shed, Australian Rural Education Centre (AREC) from 9:30-11:30 and and will feature Rural Adversity Mental Health Program Coordinator, Di Gill, as guest speaker. For more information or to register your interest contact Agness Knapik, Watershed Landcare Coordinator, on 0435 055 493 or by email: info@watershedlandcare.com.au. These events are supported by Watershed Landcare and are a part of the NSW Government’s Local Landcare Coordinators Initiative, supported through the partnership of Local Land Services and Landcare NSW. Watershed Landcare is busy organising its 9th annual Green Day event, happening this year at Mudgee Showground on 7 September. We’ve got record numbers for this year’s event with 625 students from 16 schools participating. The theme of this year’s event is GoMAD, an acronym for Go Make A Difference, the theme aligns with a popular environmental education program undertaken by the NSW Department of Education. “This year’s theme is all about taking action. Workshops will provide students with key take-home messages around the themes of biodiversity, energy, waste and water.” said Vivien Howard, Watershed Landcare’s Green Day Project Manager. A total of 19 workshop presenters from a number of different local businesses and organisations will take part in this event. Students will learn about managing pest species, water quality, habitat protection and waste reduction. “The workshop sessions are a vital part of the event, complimenting the keynote speaker and providing students with hands-on demonstrations from industry.” said Ms Howard. “This year we have workshops from staff at Central Tablelands Local Land Services, Mid-Western Regional Council, Red Hill Environmental Education Centre, NetWaste, Niche Environment and Heritage, Barnson Pty Ltd, Royal Agricultural Society, Crave Natural and Rosby Sculptures in the Garden. We are very grateful for the participation of these businesses in our event.” she continued. Keen to help out? We are always in need of volunteers at Green Day, this year we have a particular need for volunteers to help with the Waste to Art activity being run by Kay Norton-Knight of Rosby Sculptures in the Garden. If you’re available to help, or would like any additional information about the event, please contact Vivien Howard on 0488 224 025 or email info@watershedlandcare.com.au. Renowned beekeeper and industry expert, Bruce White OAM will be back in Mudgee in August for another beekeeping course. The Mudgee Bee Group will be hosting the Backyard Beekeeping course and invite novice and experienced beekeepers, as well as people interested in starting up their first hives, to attended. A retired apiary officer from the NSW Department of Agriculture and a hobby beekeeper, Mr White became fascinated with bees when he was in primary school. He got his first hive when he was 13 years old and now boasts over 60 years beekeeping experience. Mr White has extensive knowledge of rural beekeeping and frequently delivers courses for the Local Land Services and the Amateur Beekeepers Association. 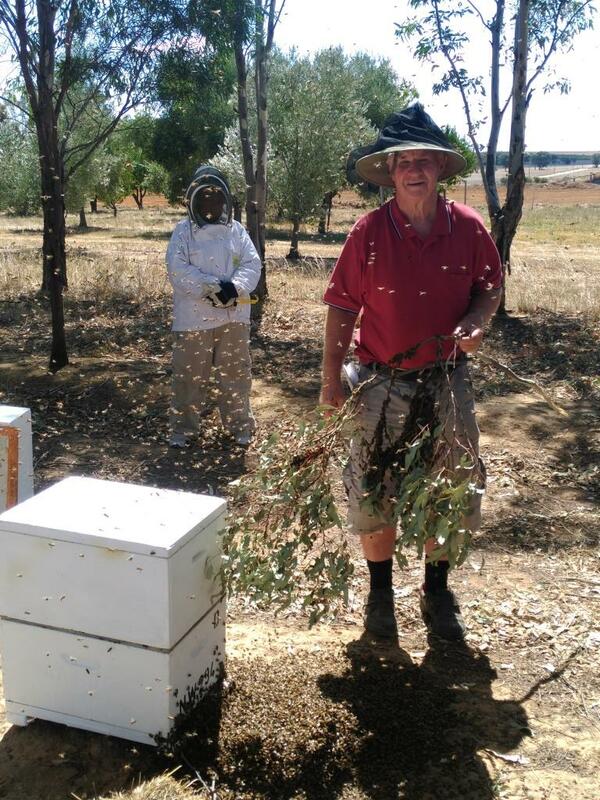 He was awarded the Medal of the Order of Australia in 2011 for his service to the beekeeping industry. The 2 day course will cover topics such as protective clothing, hive design, hive management, biosecurity, honey extraction and a whole lot more in a hands-on practical weekend. The Mudgee Bee Group’s community hives will be available for participants to practise on and gain confidence in handling bees. The course will be held on Saturday 12 and Sunday 13 August at the Straw Bale Shed , Australian Rural Education Centre (AREC). Cost is $275 per person and includes course notes, lunch and morning tea on both days. A discount rate of $180 is available for Watershed Landcare and Mudgee Bee Group financial members. Numbers are strictly limited and you must pay in full to secure your spot. If you’d like to participate send an expressions of interest to Claudia Wythes, Watershed Landcare Coordinator, on 0412 011 064 or claudia.wythes@watershedlandcare.com.au. The Mudgee Bee Group and Watershed Landcare would like to acknowledge support from AREC, for hosting the Mudgee Bee Group hives and providing a venue for meetings and the course.